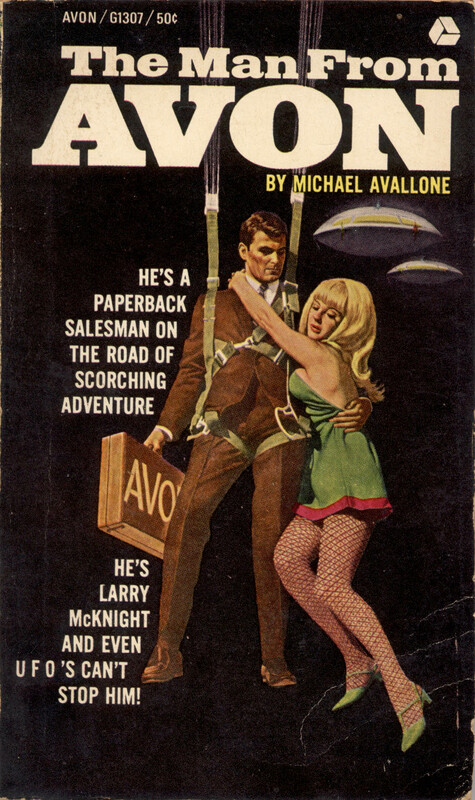 He’s A Paperback Salesman On The Road Of Scorching Adventure. He’s Larry McKnight And Even UFO’s Can’t Stop Him! Brought to you by Avon Publishing.